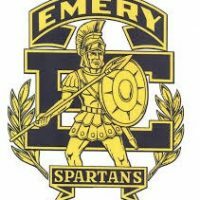 The Emery Spartans opened the 2019 soccer season with three-games-in-three-days Thursday, Friday and Saturday in St. George. Taking the field for the first time this year on Thursday, Emery was held scoreless in a 2-0 loss to Summit Academy. Emery immediately bounced back with a 7-1 win over Parowan on Friday. The weekend trek came to an end Saturday with a 4-0 loss to Desert Hills. Despite being blanked in two of the three outings, the Spartans showed signs of offensive power in the win over Parowan. Zac Anderson and Abdul Ibrahim found the back of the net twice, while Alex Puente, Juan Prada and Spencer Hadfield each scored once. With the first three-game stretch of the season now complete, Emery will turn its focus to Gunnison on the road Tuesday afternoon. The team will then open Region 15 play against North Sanpete in Mt. Pleasant. Following the two road tilts this week, the Spartans will return home on Tuesday, March 19 against the Manti Templars.